Hever Castle was the childhood home of Anne Boleyn who was queen of England in the 1500's and was beheaded by King Henry the 8th. 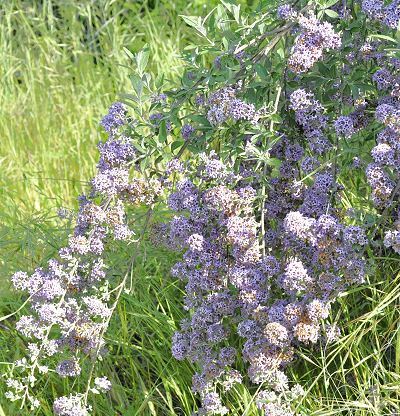 Today this historic castle is the home of a marvelous English garden and this beautiful butterfly bush. 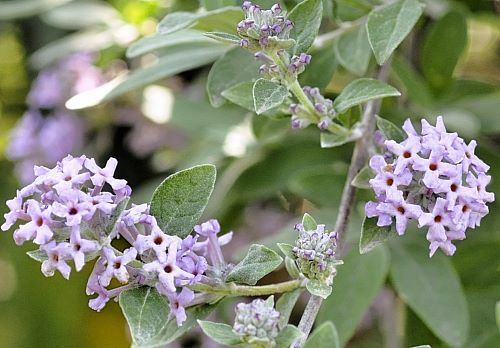 Hever Castle Butterfly Bush has a wonderful arching habit similar to one of its parents, Buddleia alternifolia. The fragrant lilac colored blooms with their deep orange throat cover the branches in early spring before other Butterfly Bushes make their flowery show. In colder zones, the plant may die back to the ground. In these areas, it is best to wait and see what will return in spring before pruning. In warmer areas where the plants do not die back, the bush can be pruned for shape after bloom. Hever Castle Butterfly Bush makes a great addition to our Wildlife Herb Garden Six Pack and to our Zone 8-11 Fragrant Herb Garden Six Packs.